Singapore mobile game developer, Miiny Mobile Gaming Network, announced its first-ever Mobile Game Development and Illustration Talent Competition. They aim to discover and recognise local, talented Game Developers and Illustrators in Singapore through their platform, and are even promising to provide gifted starlets opportunities for collaboration along with a network for the global gaming stage! The competition will be split into two categories – Mobile Game Development, and Character Illustration. Winning Game Developers can expect to bag up to S$5,000 worth of prizes, while winning Illustrators will walk home with up to S$3,000 worth of prizes! Winners from both categories will additionally be invited to publish their work on Miiny’s platform, or even a place in Miiny’s development team! The competition runs from now till 9 August 2018, but interested participants must register by 15 March. Judging will then commence between 10 August to 9 October 2018, and winners will be publicly announced by end October. A character from “Landlord Fight” – one of Miiny’s own mobile games! 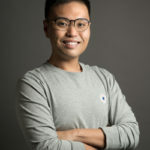 As for Miiny itself, they’re a local start-up specialising in mobile games development, and are no strangers to the local mobile gaming apps scene. They aim to be the first local company to gain a strong foothold in the global gaming industry, by conceptualising and developing mobile games that are “fun, futuristic, tech, and educational”. But hold up, what about your Intellectual Property (IP) rights? Well, you’ll be glad to hear that all Game Developers and Illustrators will keep their IP, regardless of submission to the Miiny Competition – so what’s yours, stays yours! The competition is open to all Singapore Citizens and Permanent Residents. And as you prep your submissions, take note of the key areas: originality, creativity, design, and interface. For more details, check out their poster below, or their site here!